Map your memories ! 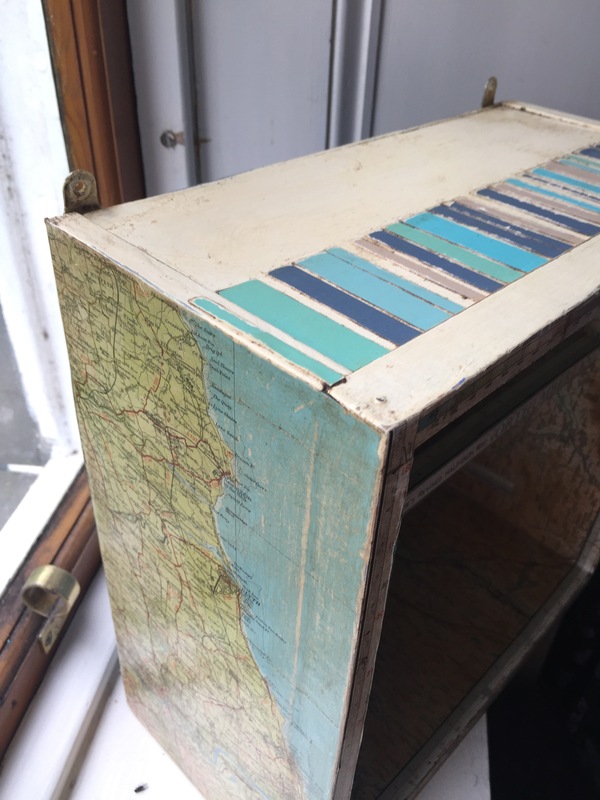 Up-cycle to recycle your cherished maps ! It was massive fun to do, I used the main body of the map but also some of the legend and borders to camouflage some of the worst features of the box… but also when out of negligence I tore a bit of the main body of the map… I just cut out one of the small details of the legend to paste over creating a feature out of a disaster !!! Every one loves it. I have had to fight at times to be allowed to keep it. I took it a few weeks back to the Oxfam bookshop in the West end of Glasgow. 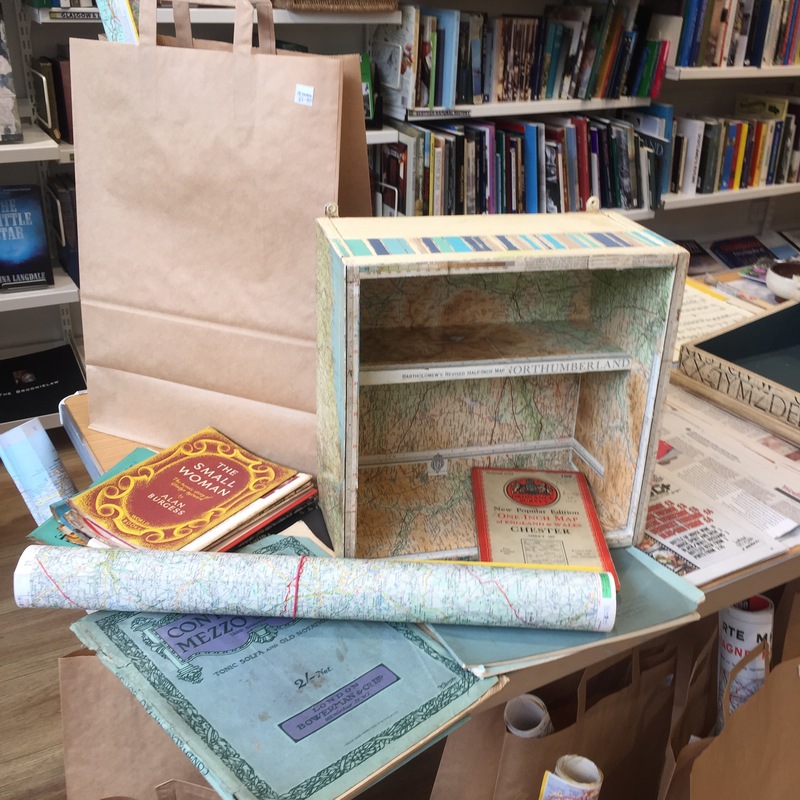 I wanted to demonstrate how fun it would be to up-cycle using some of the items you can find in their shop… vintage maps… music sheet. So many people stopped by not just to look but also to tell the story of their maps then to elaborate on what they think they could with the maps. 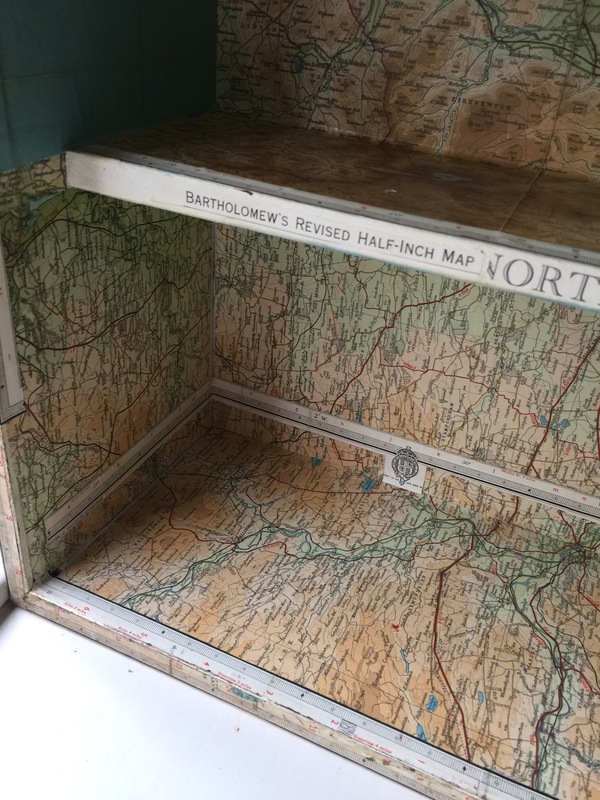 Maps are such a great thing ! a bunch of colour on solid paper (sometimes backed by net to avoid ripping) the detailing giving you an idea of altitude, and more importantly of directions. 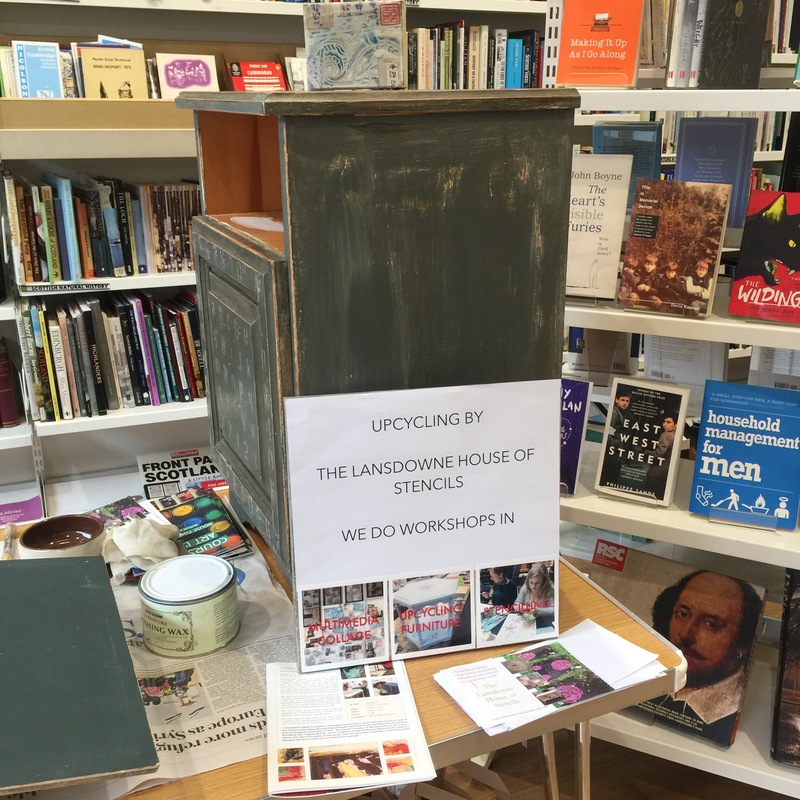 But for up-cycling they are fabulous… first they are big so lots of cover but also they are printed on great quality paper which can take glue and does not rip. But also they have a lot of detailing you can use in all the various small places of your object. 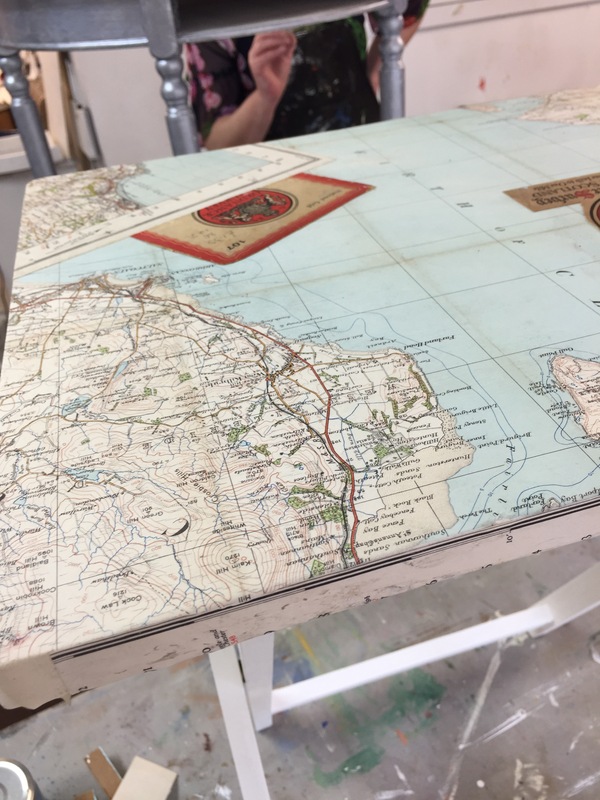 So I was hardly surprised when one of my participants of last week end up-cycling at the House for an Art Lover decided to use an old map of Arran to up-cycle a small table. Memories of past holidays on a little table that was kicking around. It looks fab don’t you think? First time up-cycler I think this is first class work. 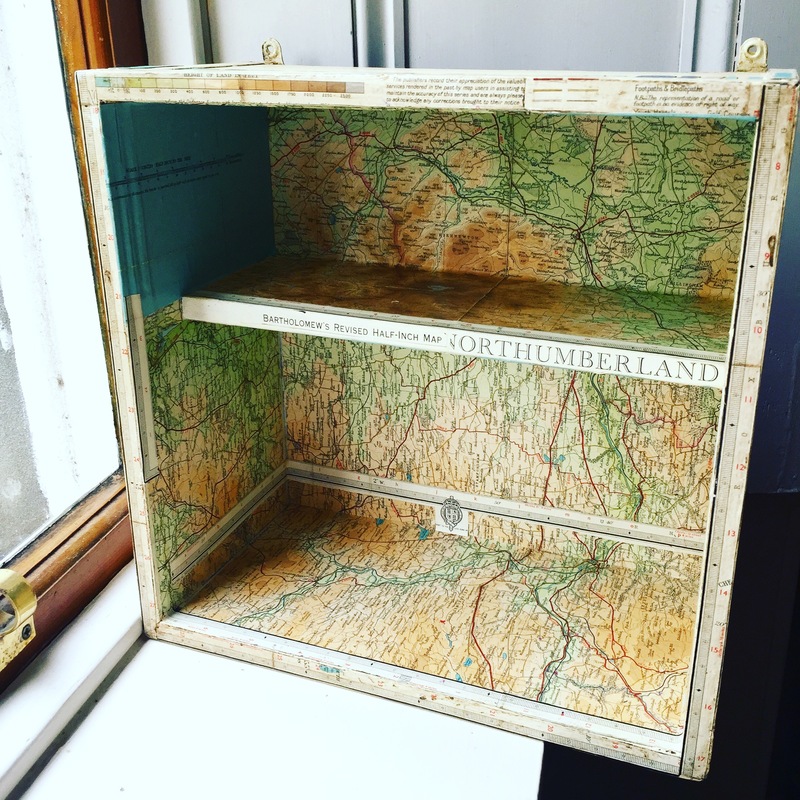 Great use of the colours… of the various features of the map cover and the border of the maps. 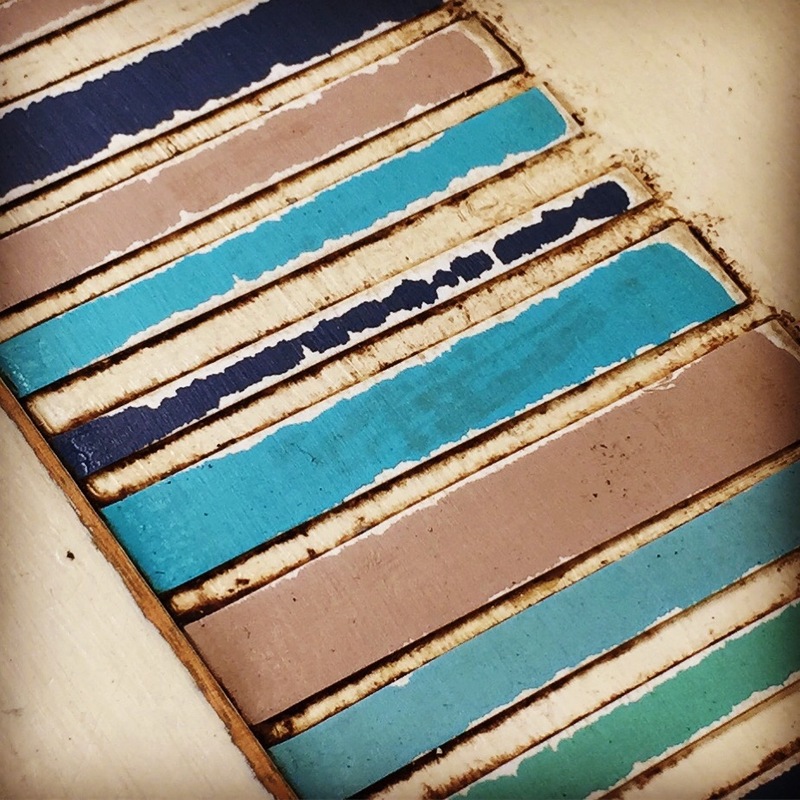 Great tonality and coordination of Paint colour applied to the legs with the top of the table. 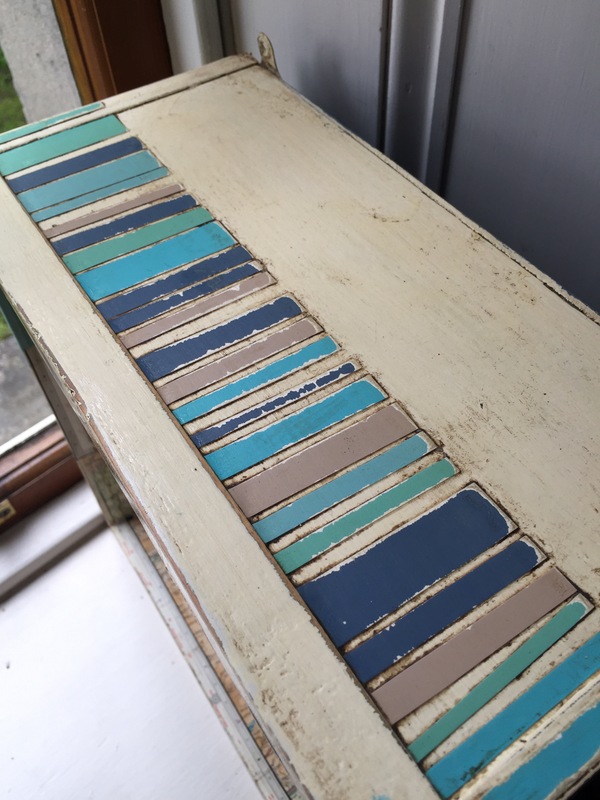 I hope this lovely piece gives him the up-cycling bug. 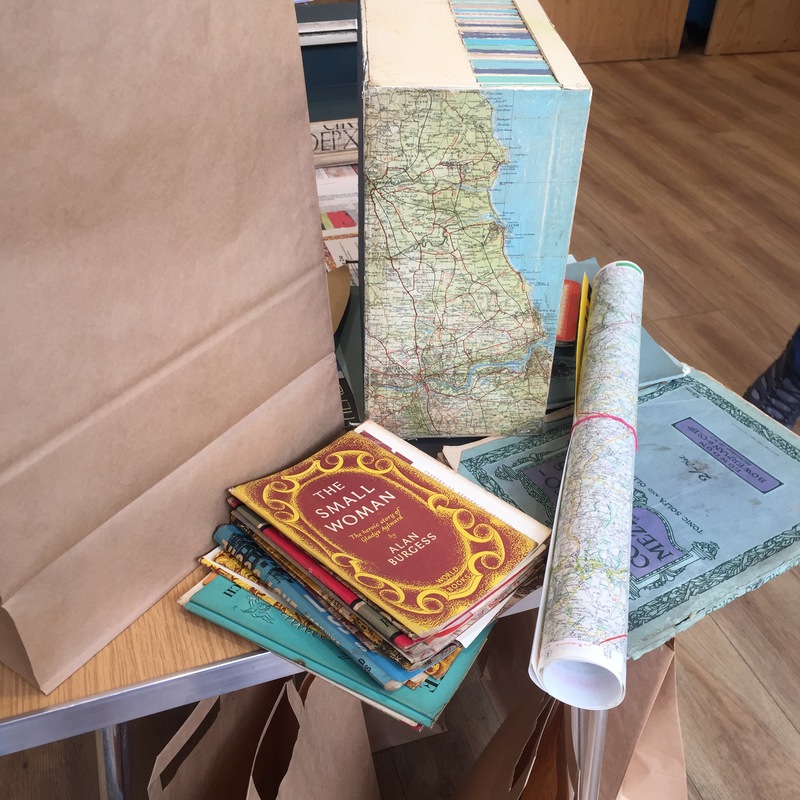 Many maps can be used, OS maps that fill up your drawers as a memory of past holidays or Munro bagging… Road maps bought bound in a book, vintage maps purchased out of Oxfam for a couple of £. 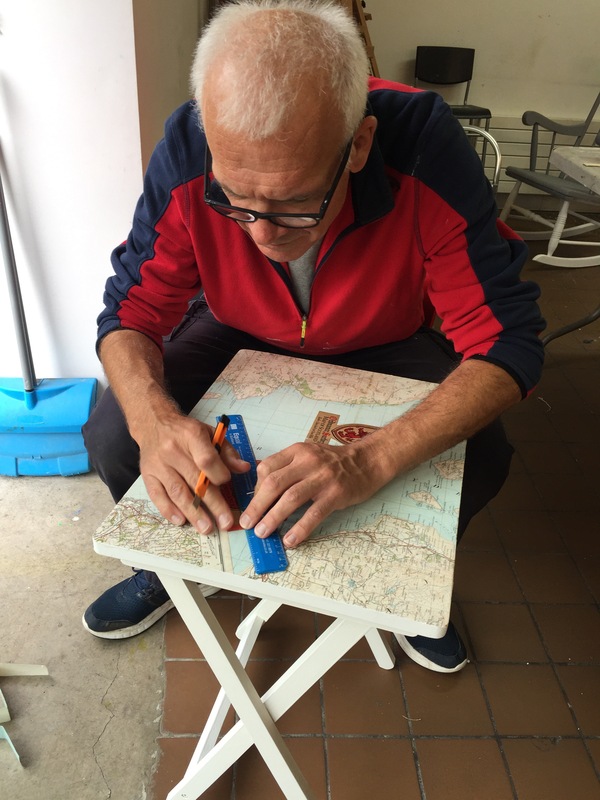 A drop of PVA glue mixed in a jar with a little water, a soft brush and you are in business… cover the map glued on your object with some PVA to seal it before you varnish or wax. I hope You get the chance to try !